Looking at apartments for rent? These are the essentials for when you move! Moving into a new place should be an exciting and wonderful experience, but it can also be rather daunting. Whether it’s your first time moving into your own place, or just another address, you always want to make sure you’ll have everything you need to set yourself up for success. Sure, couches, clothes, and bed are obvious, but don’t forget about these necessities! You want to look good don’t you? With a full length mirror in your bedroom, you can check out every angle, from top to bottom, to make sure you’re ready for whatever the day (or night) brings. Especially when you’ll be living next to so much going on! What are you going to hang all those articles of clothing on when you finally move them to your new place? You can never go wrong with a more hangers, especially when your Concord apartment has such large closets. And, let’s face it, you KNOW you’re going to buy more clothes eventually. We’ve all been there. Cooking something in the oven, the timer goes off and suddenly you realize that that pan is VERY hot and you’ve got nothing to grab it with. Don’t go through that struggle – buy a mitt for the new place! You’re ready to have some friends over at the new place and you bought some bottled beverages to play the good host. Everyone arrives and it’s time to crack open a few cold ones. If you don’t have a bottle opener, this could be a sticky situation. Speaking of beverages, you don’t want to be remiss when it comes to using coasters on your coffee table. Everyone hates water circles on their wooden surfaces. Step your game up and purchase some coasters! PRO-TIP: they double as great decorations for your apartment home in Concord. There really is something about a nicely decorated place that pulls the whole thing together. Barren walls and rooms just seem to lack something – nice décor! Give your living space some personality and get creative: plants, paintings, you name it! We won’t get too into the specifics here… Just make sure you’ve got one. Who wants to track water all around their new home? Not us! Don’t forget to get a few of these for your bathrooms to avoid a wet mess all over. You’re going to need this for sure. You may think you won’t, but you will. Whether it’s setting up that new exercise bike you ordered, or hanging up some wall décor (that you obtained because of our suggestions above…), you’ll be glad you’ve got some tools at the ready in your Concord apartment home. This may seem rather obvious, but you want to keep that new place clean, these are essential. Must-haves include broom, mop, all-purpose cleaners, and rags. A pristine new home is a happy home. 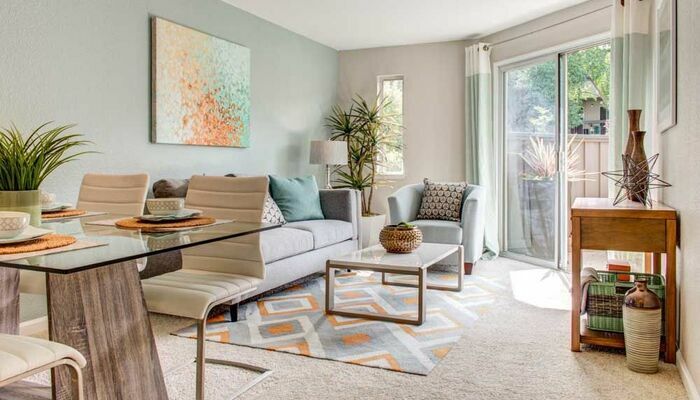 So there you have it – 10 MUST-HAVES for your new apartment in Concord. There’s bound to be more things you’ll want to have, but this is the basic list of necessities. Are you looking to make a move? 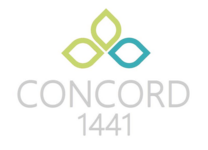 Schedule a tour or stop by our leasing office at Concord 1441 to find your dream home today!